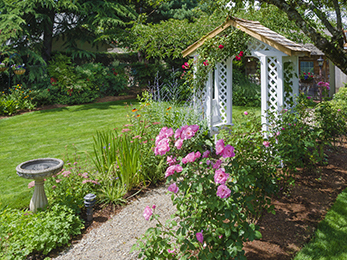 People who love spending as much time as possible in their backyards and gardens know that proper landscaping means more than just mowing the lawn and trimming a few shrubs here and there. And what about building a new landscape from scratch? Enhancing your property and supporting its thriving all year long is a difficult task not many have the time or the knowledge to complete. This is where we come in! Our experts in landscaping in St. Charles MO are here to tell you why you should choose our state-of-the-art landscaping program and work with our company! Here at Lawn Masters, we developed a landscape maintenance program we are happy to offer to new clients, as our pool of happy customers continues to grow! 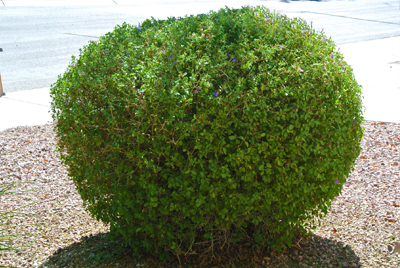 If we piqued your interest regarding our landscaping service, the first thing to know about it is that it consists of a broad range of sub-services. Here are the most important details! If you just moved in and you want to build a new and amazing landscape for you and your family to enjoy, you can count on us. Our landscape design team will come over your house, assess the situation, and make a plan together with you. Next, our specialists in landscaping in St. Charles MO will install drainage systems; add new plants and colors, retaining walls, patios, and build walkways, among others. At the end of the process, your property will have the look and the scent of a small corner of Paradise. 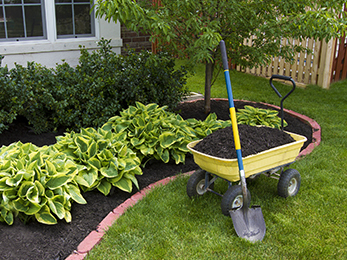 For already installed landscapes, our maintenance program includes: tree and shrub care and bed weed control programs (both being 7-step programs), pruning and trimming services, and mulching services. We work only with trained professionals. Our team includes a landscape architect, able to design and create your new landscape (or modify your existing one depending on your needs), and a handful of technicians with licenses in horticulture and agriculture to correctly implement all our landscaping sub-programs. Our entire service and programs in landscaping in St. Charles MO come with insurance and warranties back-ups, as we always want to protect your property and our workers. Our company offers integrated and consolidated services, including lawn care, fertilization and weed control, and more, so you can have a highly trained team to meet all your needs and exceed your expectations. What More Reasons Do You Have to Work with Us? We are a local business – and a family-owned one – with decades of experience in lawn care and landscape maintenance. Founded in 1983, we never stopped to grow and evolve. Today, we are using the latest technologies, equipment, and software to offer our clients the best practices in modern and eco-friendly property maintenance. 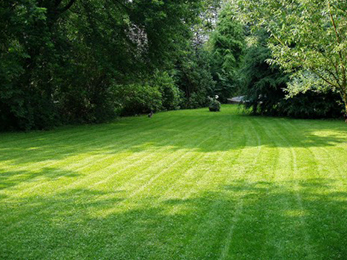 From our hi-tech lawn mowers to our unique blends of safe fertilizers, our goal is to make landscape maintenance a breeze for you. Should you choose to put us to the test, feel free to contact us via phone or website and ask for a free estimate! Our consultants are always here to answer your calls and offer you the best solutions for your needs!